Jesus tells us to love God with all our heart, soul, strength and mind, and to love our neighbours as ourselves (Luke 10:27). We want to be a church that lives out passionate love for God in all we do. But we know that this is an impossible task without the love of God being poured into our hearts by the Holy Spirit (Romans 5:5). Living out PASSIONATE LOVE FOR GOD who is majestic, holy, gracious, loving, all knowing, all sufficient and all powerful – through the Word, prayer, worship, dependence upon the Holy Spirit and in various practical ways of serving Him and each other. Living out UNCONDITIONAL LOVE FOR ONE ANOTHER as we live within a Kingdom culture of truth, caring together, praying together, and desiring God's best for one another, together strengthening the vision of who He is and what He has called us to be. Living out UNRELENTING LOVE FOR OUR COMMUNITY AND THE COMMUNITIES OF THE WORLD through which we can be the heart, hands and feet of Jesus as we live out His call to preach the Gospel and make disciples of all nations for God’s glory. We believe that Jesus is the head of the Church world-wide, and of each local church. At Live the Life, we believe in eldership-team led local churches (Acts 20:17-38; 1 Peter 5:1-4; Philippians 1:1). Working together with the deacons, the elders lead and care for the people within the local church. We believe that the eldership ensures sound doctrine in the church, sets the direction of the church as led by God (giving vision) and gives discipline in the church. An important role of an elder is to "shepherd" the people in the church, willingly and with love. This eldership team - Rudi Barnardo and Michael Adant - seeks to lead by example, while humbly knowing that it is all by the empowering grace of God the Holy Spirit. Live the Life has a team of deacons who help and serve in various areas. We also believe in the priesthood of all believers – that’s the A-team – all the believers of Live The Life Church thriving in their gifting and serving together, worshiping together and growing together. How does Live the Life Church relate to other churches? By honouring Christ’s church by not allowing criticism. By building relationships with local pastors. By attending gatherings and conferences designed to promote unity and equip the church for its task. By reading respected Christian literature. By regularly praying for the rest of the body of Christ. By joining platforms of common concern. By receiving apostolic input from key leaders whom we trust. The founders of Live the Life, Bruce and Gaynor Richter, developed strong ties with the New Covenant Ministries International (NCMI) apostolic team. The NCMI team helped to put in place valuable foundations in Live The Life and we have been built up and encouraged by various team members over the years. Live the Life Church is no longer officially connected to NCMI. We do, however, maintain accountable relationships with respected men whom we learn from and speak with. We also connect with other local, national and international churches as we partner together for God’s kingdom in Hermanus and the world. Live the Life Church was started by Bruce and Gaynor Richter as New Life Christian Fellowship in 1992. It grew from meeting in a house on Main Road, to the small scout hall and then into the Hermanus Primary School Hall. Bruce then handed leadership over to his father, Dennis Richter and his wife Colleen, who led the church for about three years. 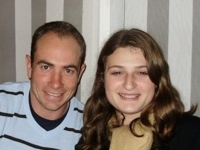 In 2008, God called the Gernetzskys to lead a church in Hout Bay. The eldership team - Rudi Barnardo, Michael Adant and Dirk De Vynck - now lead the church. We remain indebted to these men, Bruce Richter, Dennis Richter and Nathan Gernetzsky, and their wives for the work they have done for God’s kingdom in Hermanus and in Live the Life Church, and we remain firm friends and value their input. The Gospel is about God. God the Father, God the Son (Jesus) and God the Holy Spirit. The Gospel is the news that Jesus Christ, the Righteous One - died for our sins and rose again, eternally triumphant over all his enemies, so there is now no condemnation for those who believe, but only everlasting joy. Jason Henderson, in his book, "Not I, But Christ", says that Christianity is not a religion, but it is "the life of Jesus Christ given to the soul of a man." Sunday meetings at The Gateway Centre, Hermanus at 9:00 a.m.